Joe McKeehen Wins Event 38! Former WSOP Main Event Champion Joe McKeehen captured his second gold bracelet in the $10,000 Limit Hold'em Championship. He entered the day as the second shortest stack, just in front of Ian Johns, the defending champion in this event. He also came from behind as the short stack three-handed to take home the bracelet and the $311,817 first prize. "I just won all the hands early," he said. He was all in at risk against eventual third-place finisher Sorel Mizzi with two pair. Mizzi had flopped top set and McKeehen rivered a better full house to double up. He went on a crazy run after that hand. "Oh sh#& I'm gonna win now," McKeehen said recalling his feelings after the hand. That hand propelled him to victory and eventually, he would get runner-up Jared Talarico very short. The final hand Talarico was all in in the blinds and McKeehen had ten-high. 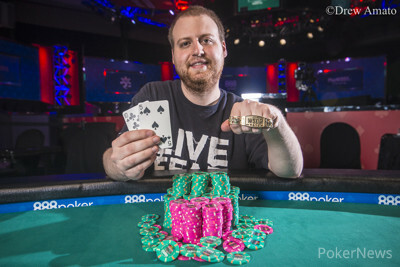 He paired a five on the river and that would wrap up his second WSOP bracelet victory. "It's limit hold'em. You can get really short but if you win some hands you'll have all the chips," said McKeehen. "I had a great run." Sorel Mizzi might have won the tournament had his set of jacks been able to hold against McKeehen. He had McKeehen all in and at risk holding only two pair against Mizzi’s set. The river filled both players up, but McKeehen swung ahead to double up. 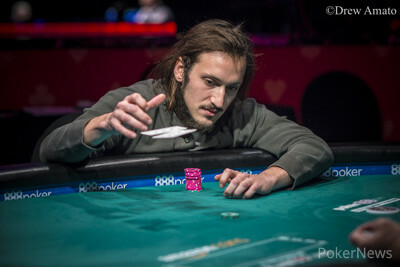 That would spark McKeehen’s crazy run, and only about 40 minutes later, Mizzi would be eliminated by Talarico when Talarico made a flush on the turn to send Mizzi home in third place. Ben Yu finished in fourth place. Yu was one of many players who held or competed for the chip lead throughout the day, but eventually he hit a downswing which culminated in him losing all his chips to Mizzi. 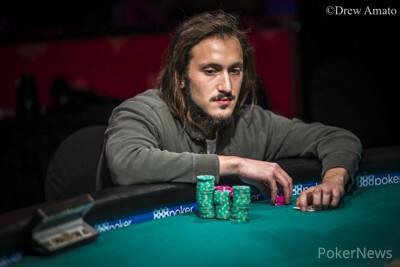 Mizzi won a few hands in a row and eventually would turn a pair and hold to eliminate Yu. The chip leader entering Day 3 was two-time bracelet winner JC Tran. He fell in fifth place to Mizzi during Mizzi’s huge upswing. Tran had king-high against Mizzi’s ace-high and neither player could connect with the board. Robert Campbell was the sixth place finisher. He was never able to build up too much of a stack, but managed to parlay an extremely short stack approaching the money bubble into a final table and a $53,995 payday. He was knocked out by Yu when Yu hit an ace on the river to beat Campbell’s flopped pair of kings. In his second limit hold’em final table of the series, Ray Henson came into today looking to improve on his third place finish in the $1,500 Limit Hold’em event. He was unable to make it happen and eventually busted when he got couldn’t find an ace to beat Campbell’s pair of kings. Mizzi flopped top pair on his way to eliminating Terrence Chan in seventh place. Chan lost a series of hands before his eventual bust. Aaron Sacks was the ninth place finisher and he took home $26,000. Chan turned broadway against Sacks’ pocket kings and sent him to the rail. McKeehen decided to skip out on late registering for the $10,000 6-Max Championship and his bracelet ceremony will be tomorrow after the first break of his next event, Event #43: $1,500 No-Limit Hold'em SHOOTOUT. That wraps up Event #38: $10,000 Limit Hold'em Championship. Track all the World Series of Poker action from now until the conclusion of the Main Event right here on PokerNews. After losing several pots or folding pre flop Jared Talarico was down to his last 100,000 and all in blind. Joe McKeehen called blind and the cards were dealt. 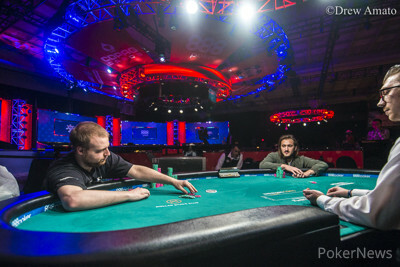 The board ran out and Joe McKeehen eliminated Jared Talarico to win his second WSOP gold bracelet. 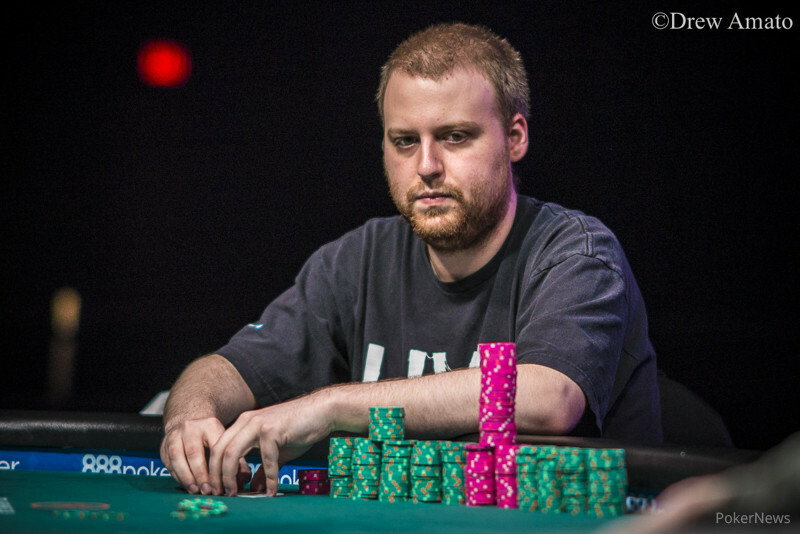 Jared Talarico raised and Joe McKeehen three-bet preflop. Talarico called. The flop came and McKeehen bet, Talarico called. The turn was the and McKeehen check-called a bet from Talarico. The river was the and McKeehen check-called another bet. He showed nines, , and took down the pot. As the heads-up portion of the tournament progresses, Jared Talarico is inching closer and closer to a fifty-fifty split of the remaining chips. Joe McKeehen still holds a lead, but Talarico has gained on him and the stacks are just about even. Joe McKeehen raised and Jared Talarico three-bet. McKeehen called and the flop came . Talarico bet all three streets and McKeehen called as the board completed . Talarico showed and won the pot. Players are on a short break. Joe McKeehen raised and Jared Talarico three-bet, McKeehen called. The flop came and Talarico bet, McKeehen called. The turn was the and again Talarico bet, McKeehen called. The river was the and Talarico check-called a bet by McKeehen this time. McKeehen showed and Talarico showed . Joe McKeehen raised and Jared Talarico called. The flop came and Talarico check-called a bet by McKeehen. The turn was the and Talarico bet. McKeehen raised and Talarico called. The river was the and Talarico check-called McKeehen's bet. McKeehen showed to win the pot.